Really big fuel pumps - Miata Turbo Forum - Boost cars, acquire cats. 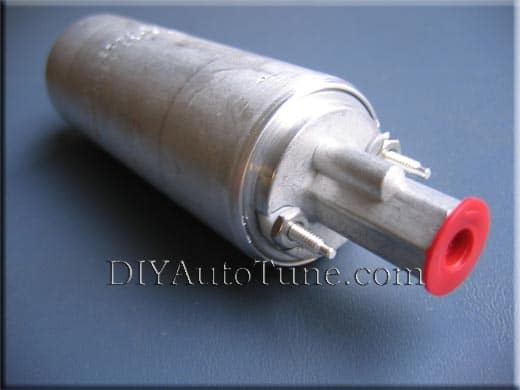 Just wanted to let you know that DIYAutoTune.com is now selling fuel pumps, adjustable fuel pressure regulators, and racing fuel filters.. We've chosen to carry two different brands of pumps. The Walbro pumps need no introduction on this forum, I'm pretty sure. We are also carrying the SX Performance line of fuel pumps, regulators, and filters, for those who are looking for larger racing type pumps. You may not be quite familiar with this name, so I wanted to reassure you these aren't some cheap Communist knock-off. These are all American made, built by Essex Industries, a company that builds pumps and regulators for military, aerospace, and medical applications as well. 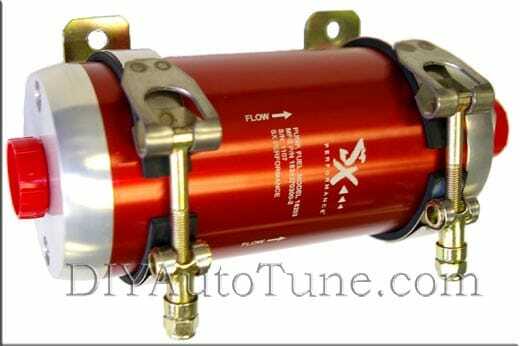 The SX Performance parts are compatible with ethanol and even methanol as well as gasoline. If you have any questions, feel free to ask. These are universal products, not model specific, so installing them will take some fabrication. But I did want to mention them here, just in case one of you guys is trying to build a Miata that needs enough fuel flow to support 750 hp. New T-shirt design - "MegaSquirt Your Mind"